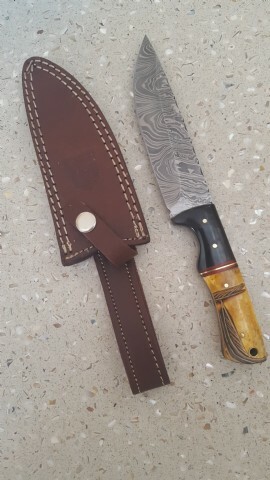 Unique feather style DINGO knife. 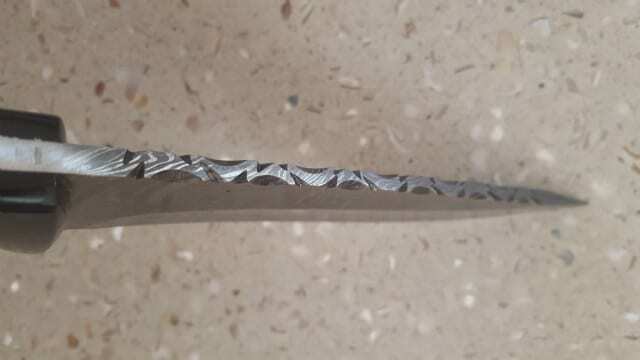 5.5inch quality Damascus blade that holds a sharp edge. 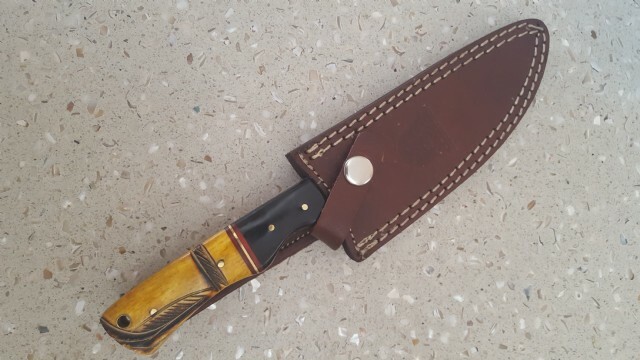 Pinned horn and bone handle with toggle hole. Feather pattern etched into the bone. Detail filing on the back of the blade for extra style. Index finger grip for extra hold. A nice addition to the knapsack.